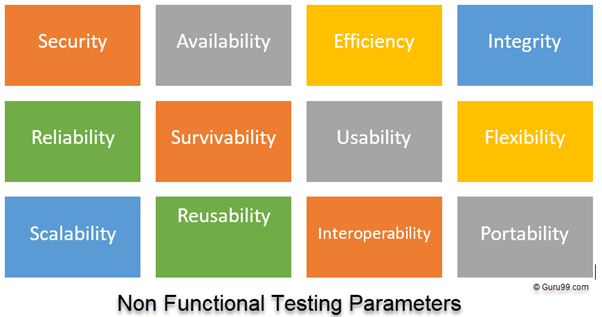 ﻿ How to Improve the Quality of Mobile Applications Using Non-Functional Testing? The horizon defined for the quality of the mobile applications is ever-changing. Added to that, the operating systems and the system integration of a mobile application are not in control of the developers. This means that the application or any updates rolled out for it should be able to flow well with the changing scenarios and the development of technologies. The functional testing is generally performed thoroughly and is one of the few areas where more time is spent. But sometimes, the non-functional testing is kept aside for the later stages of the development process which may cause extra expenses when there are issues in the non-functional areas. Non-functional testing is as important as functional testing as it is the foundation for the application and any trouble in it will disrupt the entire app. In the recent times, there is a need to automate the major elements of non-functional testing and failing to do so will put you back at the race. With the development of big data and IoT, it is not only going to take up a big chunk of your time but also is going to become more and more difficult to manually perform the tests every time. Mass automation of non-functional testing will help in continuous delivery in terms of efficiency to the further improve the quality. Engineers will get instant feedback on the status of the app and identify and eliminate bugs faster. Automated testing of non-functional elements enables to make the behavior of the application more reliable with the increased versatility to maintain the baseline stability. By performing non-functional testing in the initial stages of the development process, you can remove any defects immediately without it affecting the later stages of app development. This will also speed up the Software testing services in the later parts of the development process and reduce the amount of time spent on the whole cycle of testing. If the bugs are identified at the end, it has the potential to extend the time spent for development and will be costlier to rectify it. Initial non-functional testing will help is recognizing and removing any underlying errors that could shed a dangerous influence over the basic structure of the application and in cases when it goes undetected in the testing process, it could cause the total application to fail. Generally, in the initial stages, employing the testing of container app installation, recovery testing, testing for the resilience of network, security testing, API testing, app integration testing and upgrade testing will concentrate on eliminating all possible fundamental problems at the start itself. Security testing is one of the most important tests that should be at the top of your priorities. With the protection of personal data gaining more importance and instances of security breaches increasing, securing the data of your users is essential. In applications with mobile payment options available, it is an added responsibility to provide a secure channel for such transactions to protect the data of your users. Recovery testing involves testing if the application shuts down during failure without any errors and if the data in the app isn’t lost by these actions. For this test, the engineer has to enable the possible circumstances where the app will be forced to shut down and check how effective the recovery process is. After the app has been released, time is of the essence to identify bugs, eliminate it and release a fresh better performing update. If the bugs aren’t identified soon, it will cost you more users. On a running app or when the app is all set to be released, testing on the following is most important – load, scalability, endurance, usability, volume, and localization. These are the influential tests that can make a difference in the quality of the application and here are some of the main tests that could make a dent in the application. For load testing, the app is stimulated in a real-time environment to measure the app performance with many numbers of users and match its response time with the performance of the app under normal circumstances to find out the consistency of the application. In volume testing, the capability of the app to handle an enormous amount of data is assessed. A database of huge size is created and fed into the system to see the amount of data till which the app has the ability to run and the point where it breaks down. Usability testing is mainly used to find out the performance parameters that contribute to better user experience, error reporting, and assessment of outputs in line with the fed inputs by the users, the efficiency of the graphics interface and many more. By identifying the baseline of non-functional testing, you can make your app performance much stronger and better, and keep its quality improvements in an upward ascent.